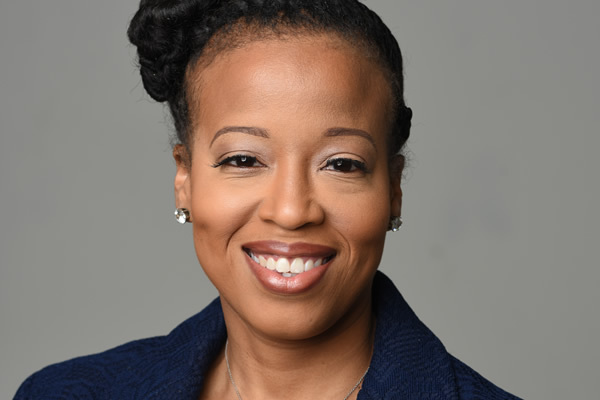 March 13, 2015 at 11:51 am EDT | by Lou Chibbaro Jr.
A candidate endorsed by D.C. Mayor Muriel Bowser to fill the Ward 4 City Council seat she vacated in January finished in third place with a +5.5 rating on LGBT issues by the Gay and Lesbian Activists Alliance. GLAA released its ratings on Wednesday for 25 candidates competing in an April 28 special election for the Ward 4 Council seat as well as the Ward 8 seat, which became vacant when Council member and former mayor Marion Barry died last November. Barry’s son, Marion Christopher Barry, who is among 13 candidates running for the Ward 8 seat, came in second place in the GLAA ratings, with a score of +4.5. GLAA rates candidates on a scale of -10, the lowest possible score, to +10, the highest possible rating. The Bowser endorsed candidate, Brandon Todd, a Democrat, “turned in a solid questionnaire but showed little by way of a record on LGBT issues,” GLAA said in a statement accompanying its ratings. Democratic candidate Sheila Bunn, who served as deputy chief of staff to former Mayor Vincent Gray and chief of staff to D.C. Congressional Delegate Eleanor Holmes Norton, came in first place in GLAA’s Ward 8 ratings, with a score of +9. Bunn turned in a “strong” questionnaire and has a “solid record” on LGBT issues in her past role as a senior staffer for Gray and Norton, GLAA said in its statement. In the Ward 4 race, GLAA awarded its highest rating to Democrat Dwayne Toliver, who received a +7 score. The group said Toliver returned a “strong” questionnaire and has a good record of support on LGBT issues. In the Ward 8 race, longtime D.C. voting rights advocate Eugene Kinlow, who has been an ally of the LGBT community, came in fifth place with a +3.5 rating, a development that will likely surprise LGBT activists who have worked with Kinlow on statehood and voting rights issues. Kinlow “agrees with GLAA on the issues but offered almost no substance” in his questionnaire responses, GLAA said. The group has long said that candidates seeking a high rating must show a detailed understanding of LGBT-related issues. Only expressing agreement on specific positions isn’t enough to merit a high score, the group has said. In keeping with its past policy, GLAA assigned an automatic “0” rating to 12 of the candidates competing in the two races because they failed to return a questionnaire and their records on LGBT issues were unknown to GLAA. The candidates’ full questionnaire responses can be viewed here.